4 miles east of Inverness. 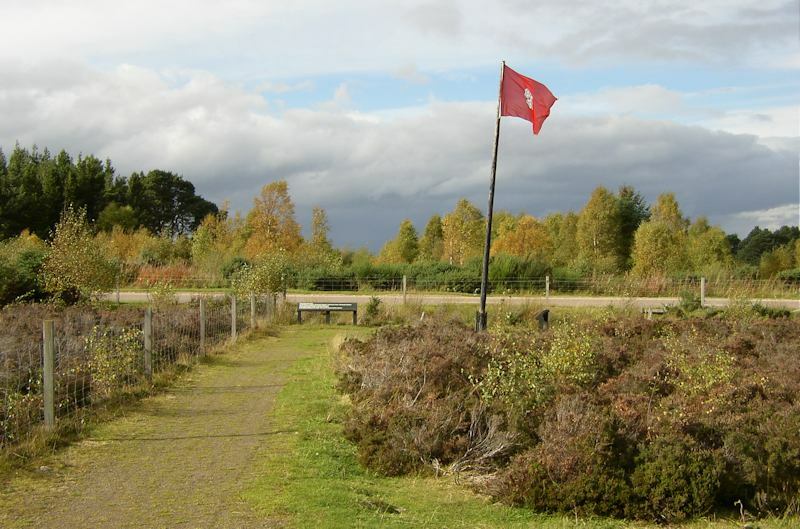 You can explore the moorland battlefield where the last battle on mainland British soil took place in April 1746 between Bonnie Prince Charlie and his supporters and the government troops and supporters. There is a National Trust for Scotland visitor centre with a film, many exhibits, a shop and a café. Nearby you can take an atmospheric wander around the Clava Cairns which are popular with Outlander fans. The museum at Fort George will tell you more about the Battle of Culloden. Historic Scotland has a visitor centre, restaurant and gift shop here. Arguably one of the most beautiful glens in Scotland. Take the A82 from Inverness to Fort William direction, following Loch Ness to Drumnadrochit. Turn right here towards Cannich going through Glen Urquhart. At Cannich turn left to Glen Affric. From Inverness to the end of the road is about 40 miles and after that you have to use your feet but, if you do so, you will be surrounded by mountains and lochs and have a good chance of spotting some wildlife. The glen starts at the entrance being narrow and wooded but opens out to reveal a spectacular vista of water, islands and majestic hills and mountains. On the way back, take the direction to Beauly from Cannich, bringing you back in a loop to Inverness. Beauly Priory was constructed by French monks in 1230 and the ruins are now open courtesy of Historic Scotland. Winner of Britain in Bloom many times, the village of Beauly has a variety of places to eat and shops with crafts and Scottish goods. 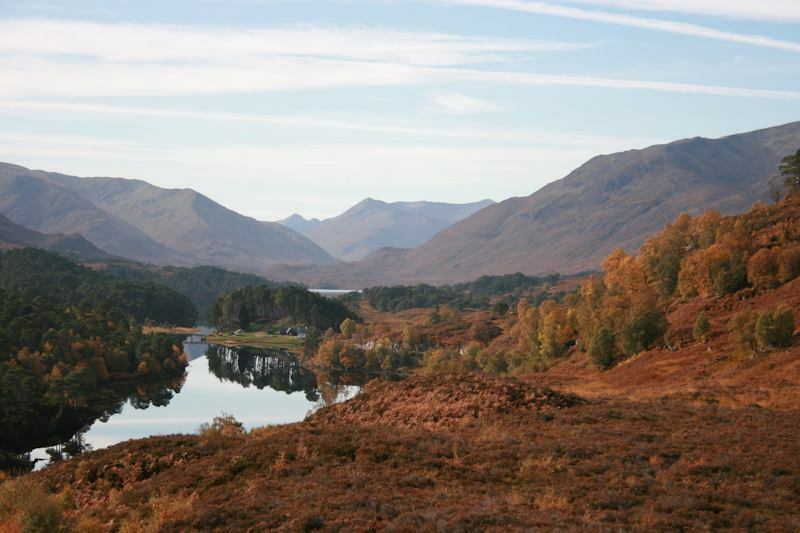 Near Glen Affric but different in character. There is a likelihood of seeing deer in this glen except in the heat of mid-summer when the deer will be high on the hills keeping cool. You may see an eagle circling high above or is it just a buzzard? In autumn the wooded verges of Glen Cannich seem to sprout all sizes and colours of wild mushrooms and fungi. If you drive to the end of the road and then walk a little way to the shore of the loch, you may find yourself collecting some of the beautifully marked stones on the beach, often spotted with tiny purple garnets. Following the A9 north of Inverness, past the little village of Garve, take the North Coast 500 route towards Gairloch on the west coast. Follow this road through imposing scenery, cresting the hill just past Achnasheen, where a fantastic view down Glen Docherty shows you Loch Maree nestling beneath the mountains. Through Kinlochewe, the road forks left to dramatic Torridon or straight on following beautiful Loch Maree, on the other side of which is Slioch (the Spear) with its summit often in cloud. Reaching Gairloch, you will see a lovely sandy beach but an even better one is at the appropriately named Big Sand a few miles along the side road left from Gairloch village. 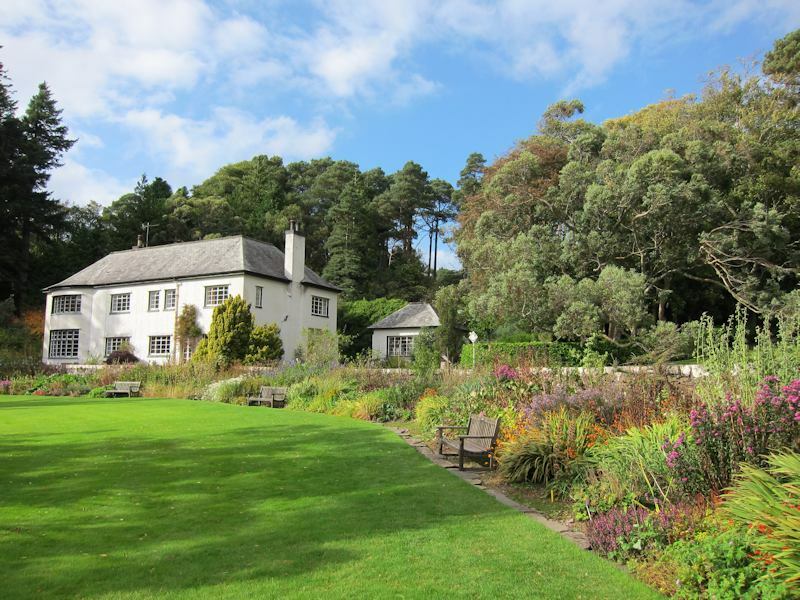 Back on the road beyond Gairloch brings you to Poolewe and Inverewe Gardens. These superb gardens, at their peak during late May, are a gardeners delight at any time of year. After Inverewe keep heading north through wonderful scenery until the junction with the road to Ullapool (once a busy fishing village), then loop back to Inverness. In August the heather clad moors will delight you with their colour. East along the Moray Firth from Inverness, via the A96, you can visit Nairn with its harbour and the old Fishertown houses. There is a splendid beach and two golf courses (including a famous championship course). About 6 miles past Nairn is Brodie Countryfare where there are several quality shops and a café. At this point you can take a turn left to visit Brodie Castle, open all year and managed by the National Trust for Scotland. 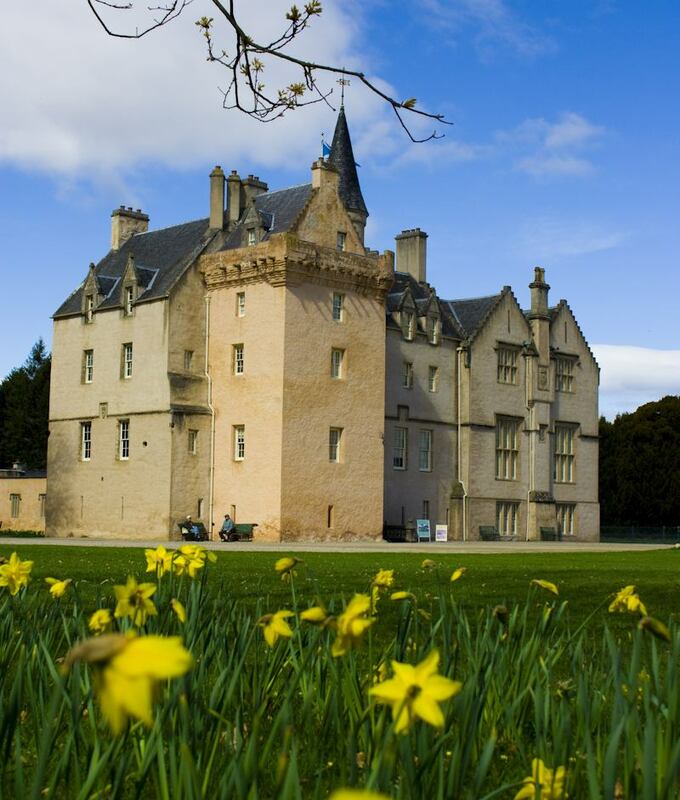 There are garden walks here and a beautiful display of daffodils in Spring. The next town, Forres, always has colourful floral displays and is a regular winner of the Scotland in Bloom competition. On the edge of the town is a huge carved stone column called Sueno's stone dating back to Pictish times and elaborately decorated. In Elgin, which is elegantly Victorian, are the ruins of the cathedral with its colourful history. Fochabers has several antique shops to rummage around in and Baxters Visitor Centre which provides factory tours, several shops and a café. From Elgin you may take the road south to Grantown on Spey, then Carrbridge before joining the A9 road and turning north back to Inverness. 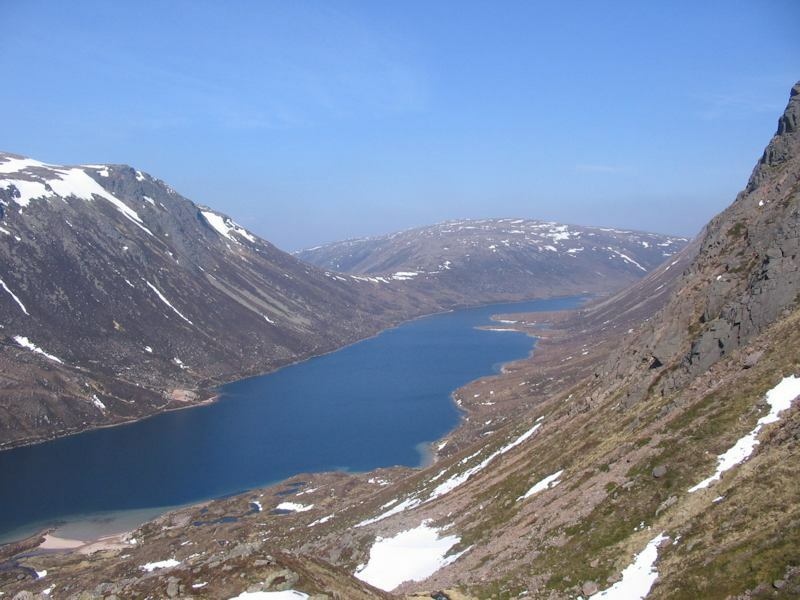 The National Park covers a large area including the “Monarch of the Glen country” and parts of Royal Deeside. South of Inverness via the A9 is Aviemore. At the southern end of the village a road turns towards the mountains and climbs up past Loch Morlich towards the winter ski slopes. In August the hills are purple with heather and there are magnificent views from different points up the road. To ascend higher take the funicular railway or the ski lift for even better views. In Kingussie and Newtonmore, the award-winning folk museum is worth a visit, as well as the Highland Wildlife Park where you can see polar bears and tigers. At Loch Garten is the osprey centre where in late spring it is possible to view the ospreys on their nest and feeding young.